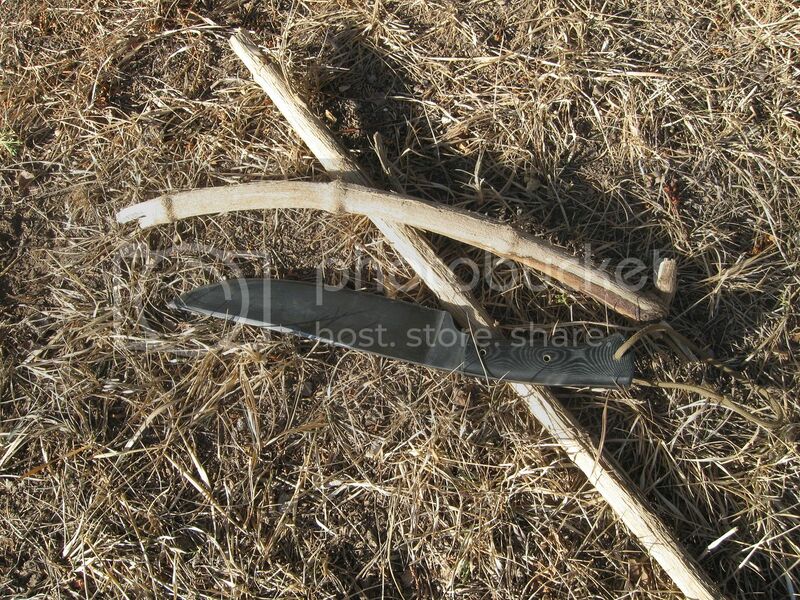 I'll leave 'em to ya in My Will al la Hatchet Jack. Apart from the Mora and whatnot this comes in awfully close to the top. Export Kephart type knife from EA Berg, made in Norway this model. Sandvik stainless, pantographed markings, awesome. Whoa, Sealegs... That's neat! Where did you get that? 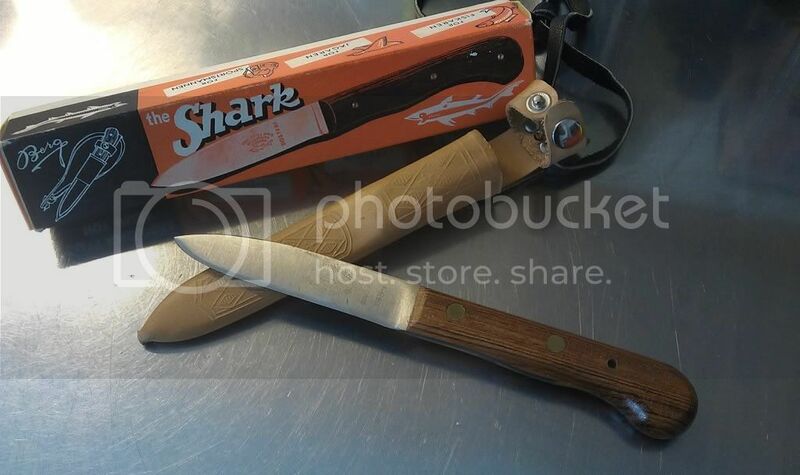 Damn cool knife sealegs where did you get it? It seems some sellers don't really know what it is because some of the names are hilarious. You can PM if you want the seller I got mine from, he seems to have a bunch, they really are in "new in box condition". Been looking for ages too, about time I got it. Yes, could you, please, PM me the seller's info. That is a nice looking knife! Hard to name just one, as I've got lots of SAKs, Cold Steels, and Spydercos, more than a couple Opinels, Moras, and one Fallkniven S1. Guess if I had to narrow it down, I prefer my OH Soldier and Farmer for playing in the woods, SwissBianco Yeoman3 for in the city, and it tends to be a tie between a Spydie Delica4 and an Opi #8 for a single blade utility cutter, for all the mundane tasks. 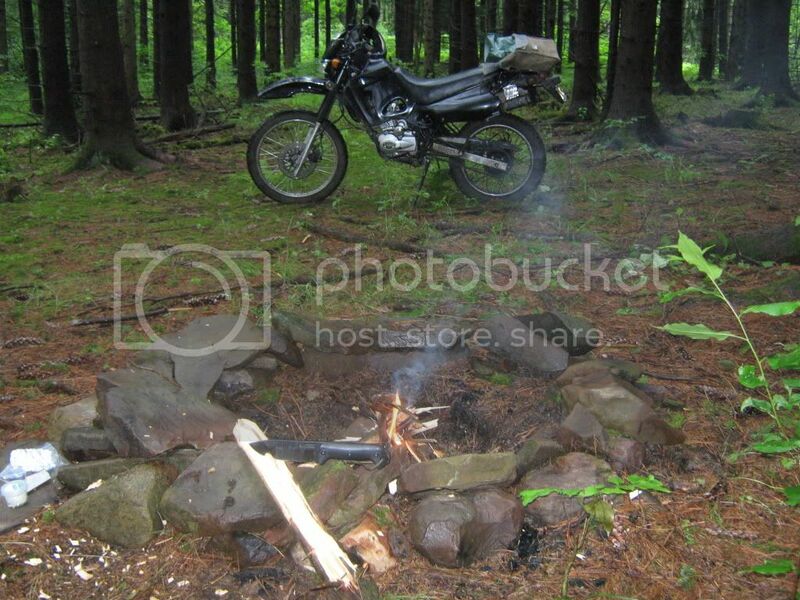 Recovering BoyScout(TM), now performing GoodTurns(TM) fortnightly! Any chance for some pictures, Matt? I'd like to see them! I like customs best, but I likes my Izzy. Sloppily stripped, convexed and sharp as a sack of wet mice. O.K., no comment on the Izzy. I like the Izula. I don't have one but my buddy has a few. Very nice knife! Well I guess it turns out the Izzy is in fact sharper than a sack of wet mice, but after using that saying, I've got doubts about whether I am. A classic! Well played, sir! I should've remembered that... I've likely only watched it a few hundred, I say, a few hundred times! What knife do I always make sure I have with me? what knife would I turn around and go back home if I realized I had somehow left it at home? What knife would I immediately or as soon as possible replace should I loose it? a Swiss Army Knife of some flavor. The one in my pocket I have had since sometime back in the 70's. Like my handgun, I never leave home without it. Of course I usually carry 2 - 4 knives with me. 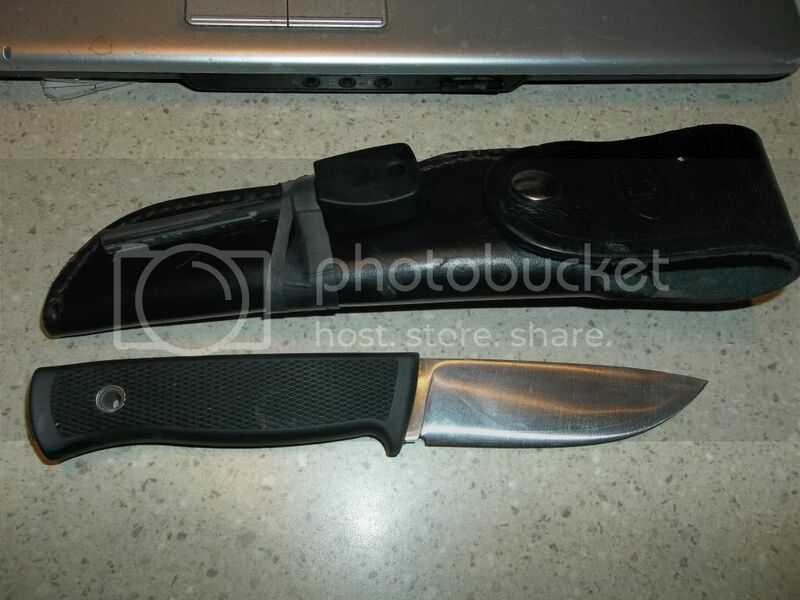 One being a fixed blade , the SAK, some folder I am working on / testing out. Perhaps another one that one of the kids has handed to me and asked me to keep up with because they are swimming or something that they need to get it out of their pocket for a moment. But always a SAK in the production knife types. It is probably the most used around the house of all of them. The fixed blade more out and about gets the nod for pure cutting, and changes according to the mood. Woah Warrior! Cool pic on the BK9 brother! Thanks guys, it was fun to do. I got the combo "head-tilt-eye-roll" yesterday about my "knife collection" (7 total ...3 in a put-away-box, 3 that I use and a filet knife for fishing). Can we start a "Your significant other is not crazy" thread and sticky it? 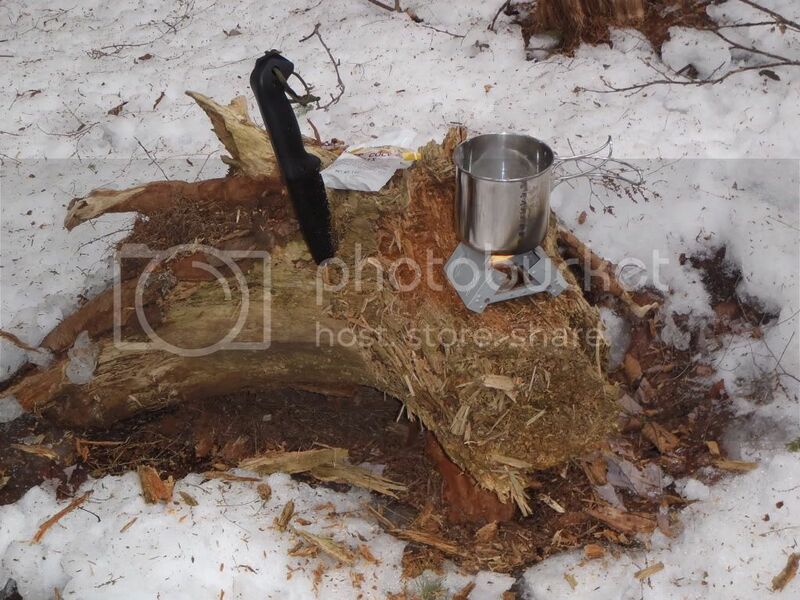 Corey do you still have this knife? No, I sure don't. But that wood is bocote, and had a great grain. The other side wasn't quite as contrasting. I know i said beckers previously, and they are still my babies...but...i am quite enamoured w this new spydie manix! Quite the folder imho! Never had a "super steel" before, but im DIGGING this 154cm. I have my fixed blades, and I love them. 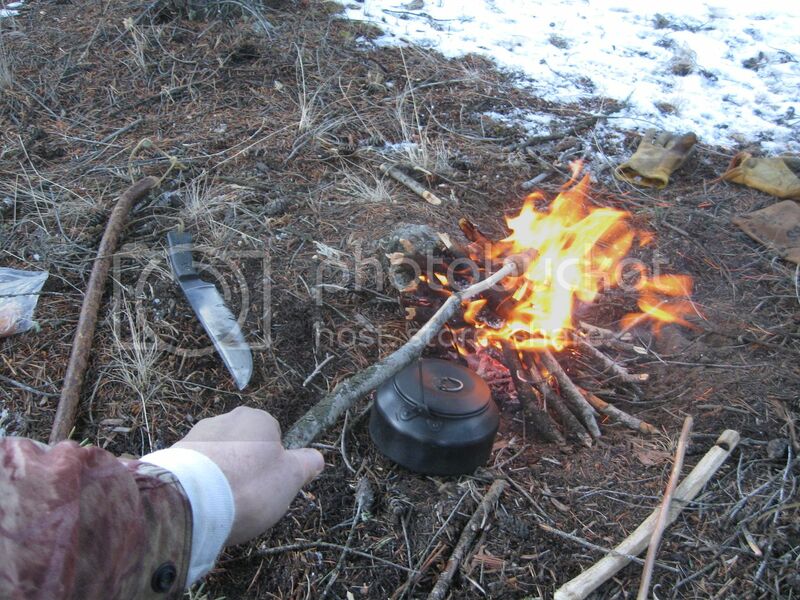 However, I'm usually hesitant to bring them on outdoor trips or into the field when doing research work, especially with friends who aren't used to seeing a sheath knife. Result: I've had way too many adventures with my Griptillian to count. Quality steel, quality construction, simple. 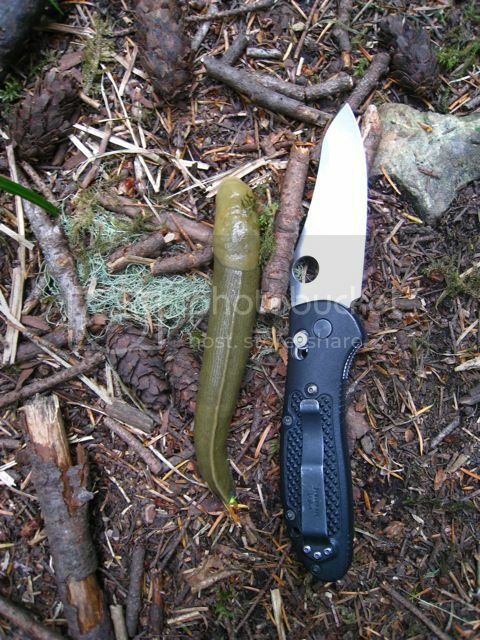 That banana slug is huge and gross. I don't really like slugs since I have woken up with them crawling on my head while I have slept out in Michigan in my not too distance past. These slugs were an orangish color. My favorite fixed blade knife is a Bark River Fox River. 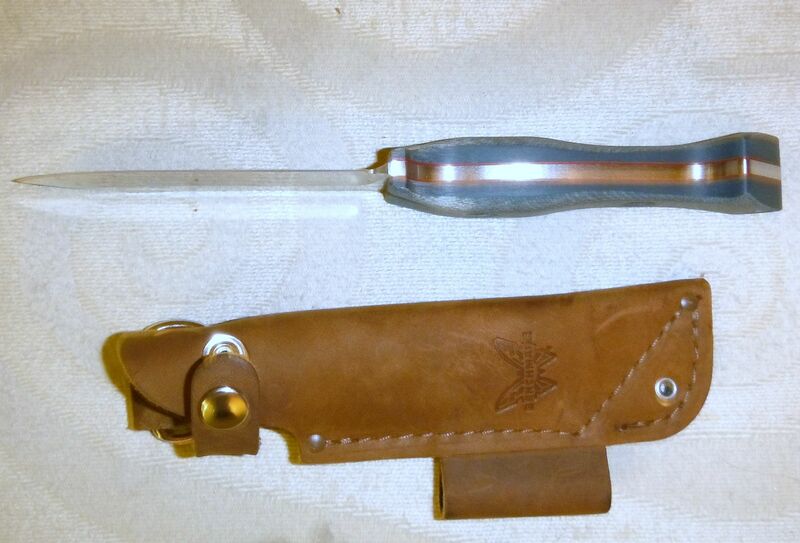 Great knife with a so-so sheath. My favorite folding knife, because its what I use around the farm most of the time, is a Case two blade trapper folding knife. I just replaced my old one with a new one. Wow, see, I would have called that the green been slug. 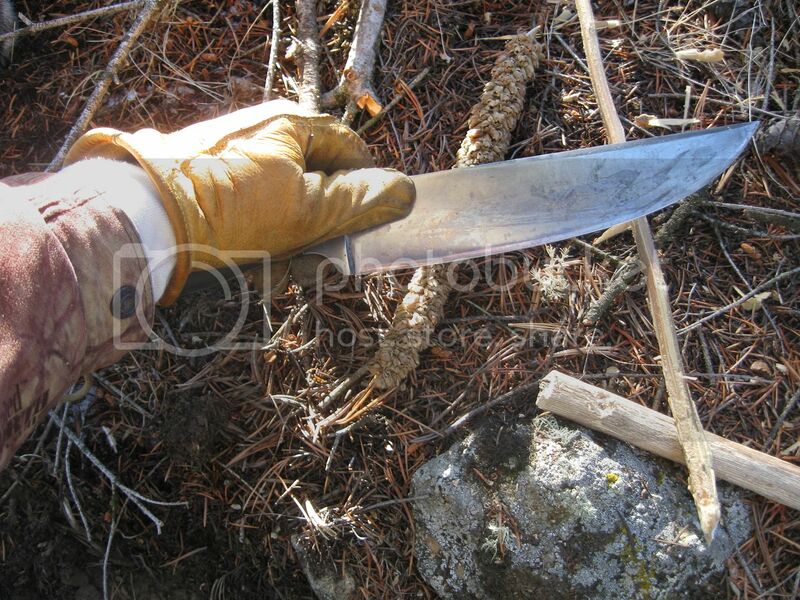 My all time favorite production knife is a Buck 110 folding hunter. I have carried one (actually two) since 1977. They are well made, hold an edge good, don't get in the way getting in and out of a truck or boat. I like the look of that Benchmade! I don't think I ever saw that model. I tend to pass on those because I know they have a hefty price but now I think I might have to do some shopping. 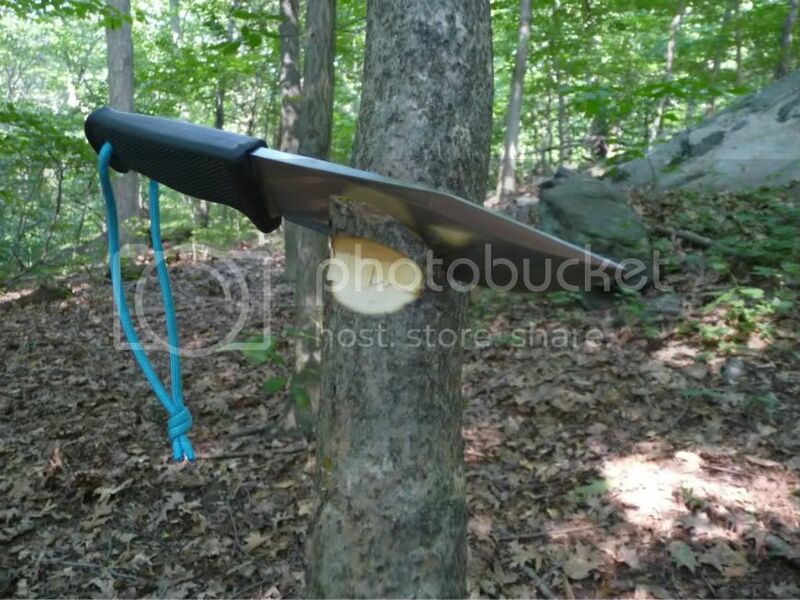 It's Benchmades first "bushcraft" knife. Blade seems great so far, but the sheath designer isn't quiet ready for prime time yet (IMHO). 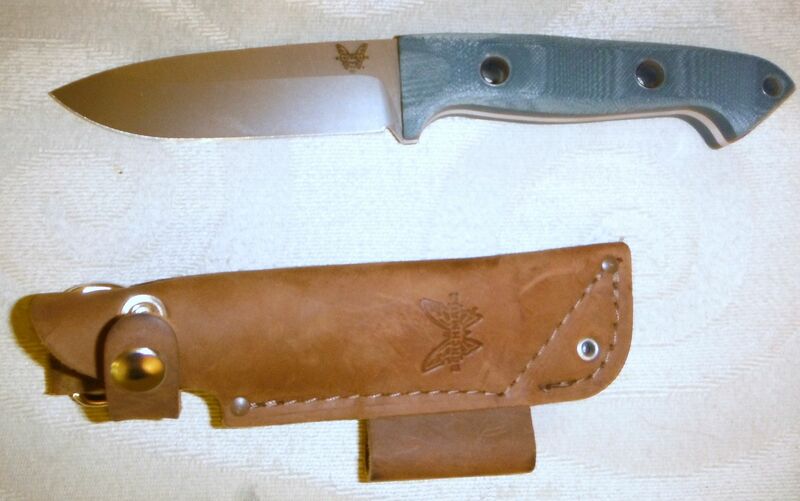 Nothing new for Benchmade though ... the knifes rock, sheaths leave something to be desired. These were priced very attractively ... $120.00-ish on pre-order. I like all of my Esee knives but the Esee 6 is my favorite. What is your favorite production Knife?????? My EDC is a Benchmade Presidio, but I just haven't keep up with any of their latest models. Really like the lines of that Benchmade, but like a lot of production knives I want, nobody ever offers a lefty sheath, so it's never quite the bargain it seems for me. 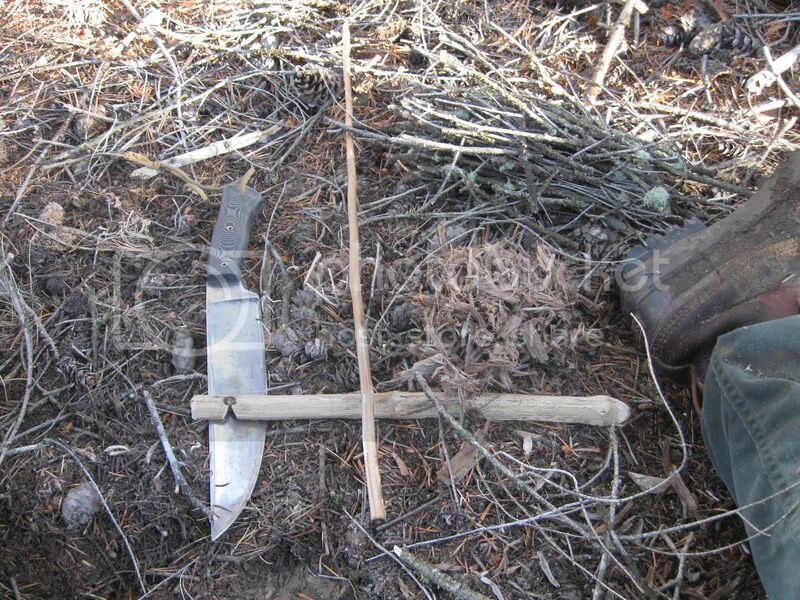 I'm always like "hmm..can I flip that sheath inside out..."
I wouldn't mind getting my hands on a Esee 3 Mil. I carry the BK14 Eskabar in my pocket everyday. 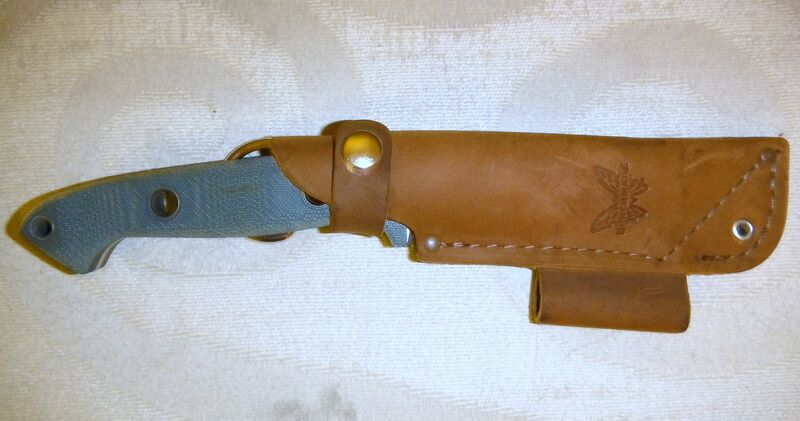 I modded it and made a kydex pocket sheath for it. If I don't carry that one, I carry the one that I got from you. I am in the process of modding another one with my oldest son. We stripped it and we are going to put some custom handle on it.